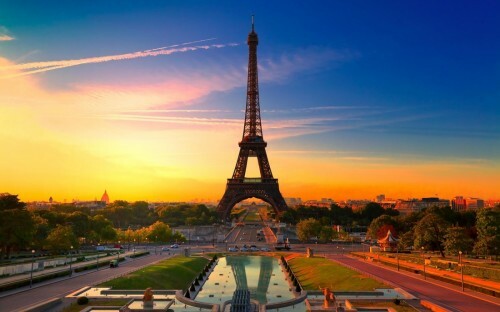 Cheap flights to France: Prague-Paris for only €69! Transavia now offers cheap flights to France from the Czech Republic. 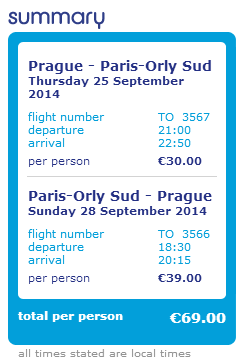 Return ticket from Prague to Paris Orly will cost you just €69 / 1895 CZK! There’s €10 booking fee added regardless of amount of passengers so if you travel in group of 4 it’s just €2.50 extra per person. Travel dates are in September and October but you can also travel in June or July for just €10 more. 10 kg cabin luggage is included in the price which should be enough for this short city break. Many dates on weekends are available for this price too. « Cheap flights to UAE: Abu Dhabi for only €157!